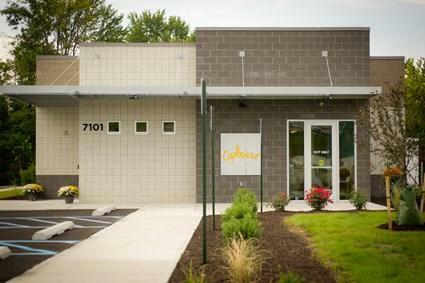 Constructed by the Lawrence Township Trustee’s Office, The Cupboard of Lawrence Township, located at 7101 Pendleton Pike, will assist Lawrence Township families, provide healthier food options for clients, and relieve the strain experienced by food pantries throughout Central Indiana. Through partnerships with Gleaners Food Bank of Indiana, Midwest Food Bank, local churches and businesses, The Cupboard will be open 14 hours a week and expects to serve 300-350 households per week. 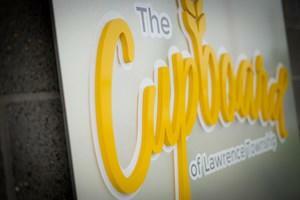 The Cupboard will be open Wednesdays from 10 a.m.- 4 p.m. and 6 p.m. – 8 p.m.. It will also be open on Fridays from 10 a.m.- 4p.m. and the third Saturday of the month from 10 a.m. – 12 p.m.
Visit The Cupboard of Lawrence Township project page to view additional photos of the Cupboard or visit Stenz's Construction Project Gallery to view additional images from various Central Indiana construction and renovation projects.